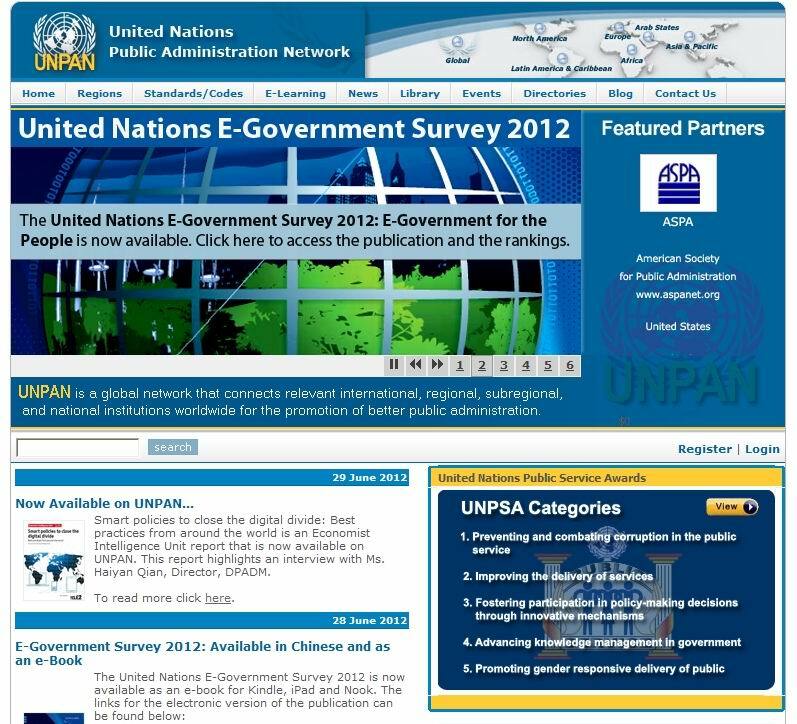 The United Nations Online Network in Public Administration and Finance (UNPAN) is a specialized service with the mission of promoting the sharing of knowledge and best practices in public policies, public administration and civil services, by enhancing experience sharing and cooperation among Member States. The main topics are governance systems and institutions, public service and management innovation, governance and finance, knowledge systems and e-government. Full-text papers, conference speeches, reports, studies and UN and partners’publications can be retrieved for free, usually in pdf format. Records are stored in the Virtual Library, the UNPAN repository by region, language, content type (legislation, statistical database, country profiles, etc…) and core theme (governance system, e-government, etc…) and, when available, documents dating back to 1949 are retrievable. Also provided by this website are news, coming conferences, updated reports and studies upon UNPAN’s main topics, e.g. papers on e-gov worldwide, public administrations, etc. Navigation is completely open and free. Some search facilites are also developed.